Our print-format journals, magazines, and other periodicals are all listed in the library catalog, CUNY+. 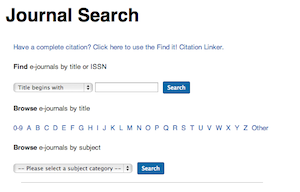 Search the catalog to get the call number and location of the journal/magazine/newspaper. Generally, our print format journals are shelved on the upper floor of the library, in the south wing.